You’ve come to the right place. 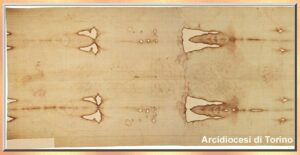 The Pope has announced a special showing of the Shroud in Turin Italy in the spring of 2010. And we will be there! The Shroud is only reveal every twenty-five years of so — this this is VERY special! But not only will we take our pilgrimage group to see the Shroud in Turin but we will do a lot more! We will visit Lanciano — one of the most stunning Eucharistic Miracles. You can see it up close and see the scientific documentation. Then we will visit Assisi for a day and a night. Then on to see the incorrupt body of St. Padre Pio in San Giovanni Rotundo. After all of that we will arrive in Rome for the General Audience with Pope Benedict. 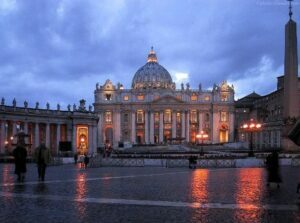 We will then visit all the Patriarchal Churches, tour St. Peters, do lots of shopping. You can’t go to Rome without visiting the Catacombs, the Colosseum, the Roman Forum and so much more. Janet and I will be the guides for this exciting new pilgrimage coming in April 2010! Stay tuned. I will be adding much more information on this trip, along with a brochure very soon. It will be here and on our Pilgrimage site at www.SteveGoes.com. To put your name on the list or to learn more, contact Suzanne at 800-727-1999, extention 121.